I'm currently reading A Little Life. Its depth is seductive. I'm not very far into it and I'm already enamored. Another low key week on the cooking front. The only newish thing I tried were some very lazy mini pizzas made on English muffins. We made a few different kinds. I was partial to the Alfredo sauce/caramelized onion combo. Nom. The Book Riot Quarterly box came this week and it included this bitchin' flask. I'd like to drink everything from it now. I might even put my morning coffee in there because it's just so cool. I hope you all have a great week! I'd love to hear what's going on in your neck of the woods! I just read the review by your daughter. I didn't notice much of a difference...in a good way :) ...from your reviews. And that is a compliment. Lol, thanks :D I'll tell her that you said so! Oh that Pie! Oh those Pizzas! You're killing me as I just went on a sugar reset this morning. I'll look forward to your thoughts on A Little Life. That cover just looks so pained!! I'm sort of jealous that you're just starting A Little Life - I want to go back and era d it again for the first time! 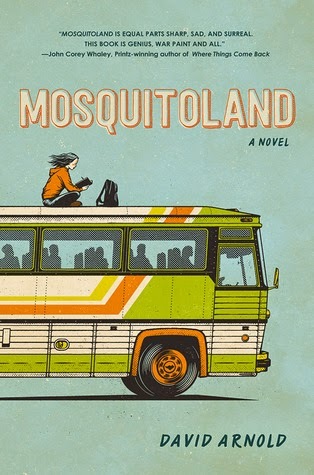 And - I loved your daughter's review of Mosquitoland - very well written - you should be proud! I added it to my TBR list. It's so good and deep and wowza. I'm enjoying the ride even though I just know that heartbreak is coming. I have put A Little LIfe on my wish list. Sounds worth a good read. Lol, he needed some extra love, the poor thing. ;) Love that name for a cat! Ha! Told my kid that if we go see Cinderella this week I'm going to take my flask just to embarrass her. Hehe. Anyway, I love the Book Riot swag, but I unfortunately usually already have at least one of the books/ARCs, so I've not joined. I guess my IndieSpensable subscription will have to suffice. Way to go on Pi Day! I look forward to yuor review of A Little Life once you've had the time to digest it. I'm trying to decide what to do about the Book Riot box too. I'll usually only really love one item so it feels like I'm not getting $50 worth, know what I mean? I'm wondering if I shouldn't cancel but them I'm afraid I'll miss out on something INCREDIBLE, lol. A Little Life is getting such rave reviews... just downloaded a sample. P.S. Your daughter's review was a pleasure to read! I think it deserves the hype! It's GOOD. Thanks so much :D I'm pretty proud! 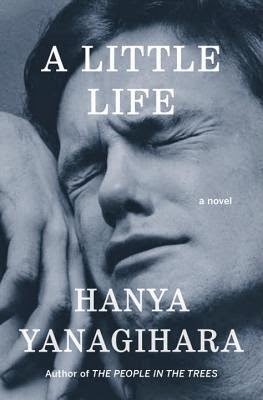 I can't wait to read A Little Life! Waiting (not so) patiently for the library to let me have it. And those mini pizzas look amazing!! Have a great week. That is a thoroughly baller flask. Way to go, Book Riot!